I am a self-declared and proven lover of burger! And I can’t say often enough that I am also a great meat-eater. I guess I can go this far that over the last two years beef burger have become my signature food. Sometimes they even happen a few days in a row! In variations or absolutely identical – the addiction is real! But then there are these days when craving a burger and not craving meat collide. It happens….. A few weeks back after eating the most delicious Spicy Chili con Carne on Earth for a few days I was indeed fed up with the ground beef. But the addiction is real and a burger was all I craved! So said burger cravings needed to be satisfied but had to be in a different form from my usual go-to staple! Looking for an alternative was the game plan! Here my niece Victoria comes into play. She somehow was the inspiration behind this veggie packed version of my favorite food without intending to be. You have to know, little 2-year old Vicky is indeed my heroine since she ordered a unique and special meal for dinner in our hotel in Italy this summer: Parmesan and Strawberries! My little onion knows what’s good! Though it might be too much for any taste buds to combine the two she unleashed a weird craving for parmesan in me. It was dull, somewhere in the back but somehow grew strong and didn’t leave me when I racked my brain for a burger idea. 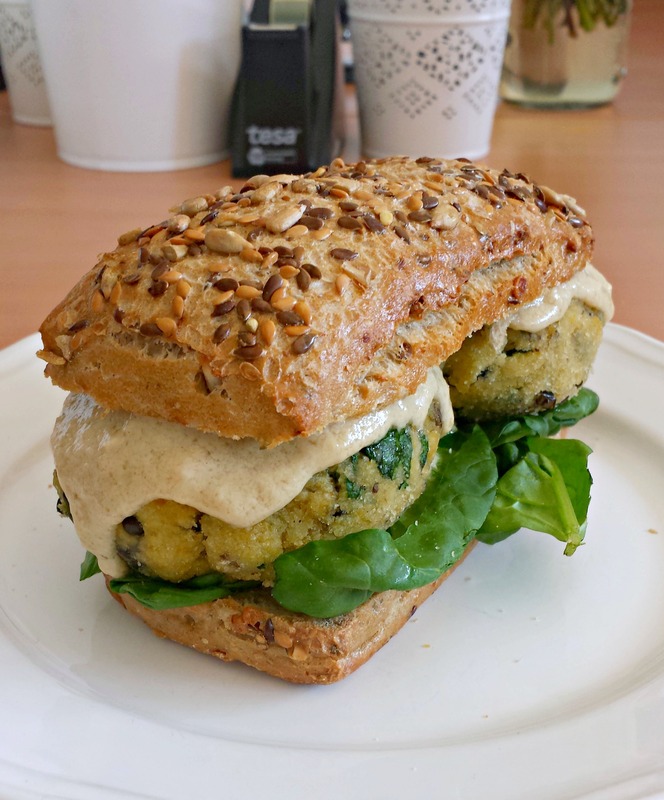 So this Parmesan packed Veggie and Lentil Burger recipe was born! Parmesan is the glue that holds this deliciousness together. It’s the prevalent taste that balances out all the veggies in there nicely. 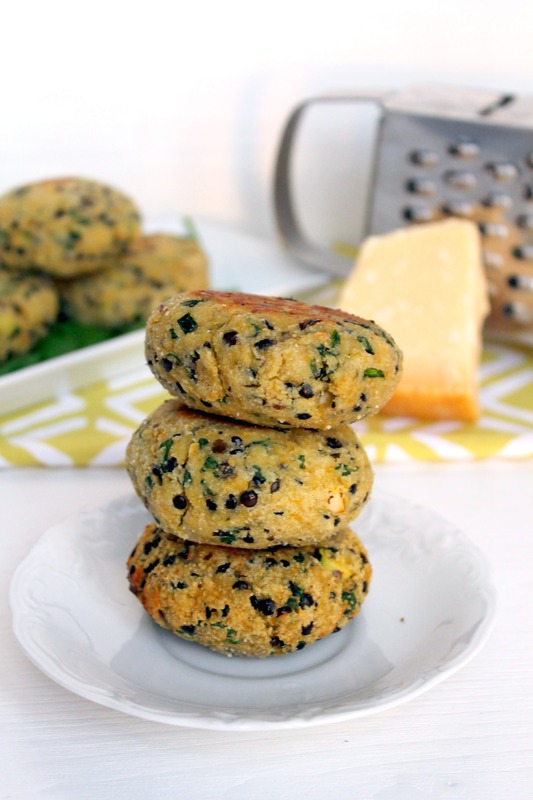 The patties have a lovely mellow texture and come with a Creamy Parmesan & Tahini Dip to die for! Seriously don’t try the patties without the dip. They belong together like butter and bread, like peanut butter and bananas, like parmesan and strawberries…. okay I back away from the latter! Eat the patties still warm. They might get a little dry once they have cooled but they will soften up again when you store them in an airtight container in the fridge. They keep fresh up to three days. Eat them plain or over a salad. Just thin out the Tahini Dip a bit to make a great dressing. They also make a delicious addition to a sandwich with some spinach leafs for example. The Parmesan Tahini Dip is wicked! Don't spoon it or at least make sure to have some left for dipping in the patties! Okay Burger I might need now for tonight! The addiction is real! These look so good! A veggie burger that I actually want to eat! And don’t get me started on that dip… why have I never thought to pair tahini and cheese before… on it! I know!!! This is a match made in heaven and I don’t know why this never dawned on me before! 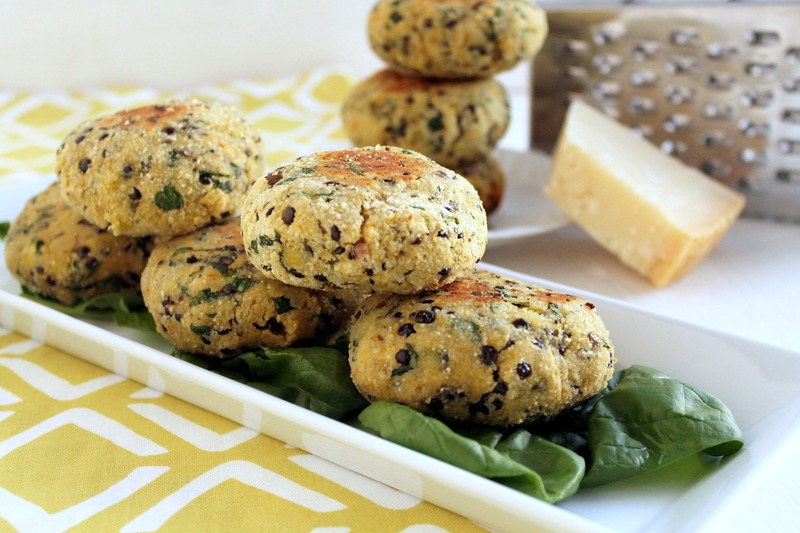 I adore the crazy amounts of veggies in these patties. Your niece is totally onto something.